Home What We Offer Individual Health Insurance How Important is Vision Insurance? If you are an employee or an individual looking for affordable vision and dental insurance, you’re not alone. Many people are confused about why they should have this type of insurance. Some people believe that it is covered in their normal health insurance plan. But if you read the fine print, you will discover in most cases that these types of insurance are not included in a regular health coverage plan. Without this extra optional coverage, you may have to spend more money that you would if you have vision care insurance. 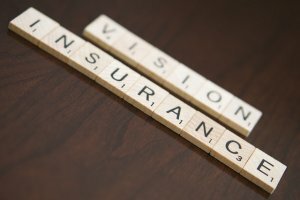 Vision insurance is often sold as an “add-on” policy on your health insurance. It is relatively inexpensive insurance, depending on the type of policy you choose. It is important if you see an optometrist or ophthalmologist on any regular basis (such as once or twice per year) or for anyone with children who may need to get regular vision check-ups. Routine eye exams: This part of the vision care insurance policy allows you to get regular eye exams with an optometrist of your choice. This can include vision care screening and exams. Lenses: This covers any lenses that are medically prescribed by an optometrist. Discount on frames: This includes an annual or biannual allowance that allows you to purchase frames at a lower rate than if you were uninsured. If you are shopping for vision insurance plans, you may also be interested in getting a dental insurance plan, as well. If you have children who need regular dental visits, this can run into a lot of money over the course of a year. But having a dental care insurance plan will significantly lower the cost of your dental services bill, as well. You can save money on both your vision and dental care plan when you consider an individual or supplemental dental and vision care insurance plan. Dental and vision insurance plans are available through a variety of channels, but it is important that you do your research in order to get the best savings possible. As you can see, vision and dental insurance can save you a lot of money in the long run, especially if you need regular or routine work or exams in either of these areas. Vision and dental insurance are usually offered as an optional additional insurance that you can easily add to your current health insurance policy. If you see a dentist or vision care specialist for any vision or dental conditions or if you are in need of a vision care plan, contact one of our professional insurance specialists for Individual Dental Insurance in Texas. We can give you a quote for individual dental and vision insurance plans that will help you see clearly and make you smile!